Bitcoin Mandates Ltd is a digital asset supplier for HNWI, Family Offices, Corporations, Charities, and Institutional investors looking to trade in the cryptocurrency markets. We ensure OTC cryptocurrency transactions are conducted in a safe and effective manner, with custody solutions available for large volume crypto holders. All sellers that we are the mandate/representative with go through a vetting process to ensure they have proof of coin. Sellers can be assured that the procedure constructed for their transactions will be safe and protect their assets and anonymity. All buyers that we are the mandate/representative with go through a vetting process to ensure they have proof of funds. Buyers can be assured that the procedure constructed for their transactions will be safe and protect their funds and anonymity. For additional security, we are now able to offer large volume cryptocurrency holders the best available custody solution on the market. Our third party provider is fully regulated with security audits, multi-step verification, and an insurance policy that is second to none. Bitcoin and other digital currencies are the new emerging asset class for our future economy. The demand for these assets are growing rapidly among UHWI and institutional investors. Simple, safe, and efficient transactions are the key for both counterparties. Bitcoin Mandates is a trusted team of blockchain professionals, that provide an effective and streamlined OTC process for both buyers and sellers. Our aim is to build and maintain a long-standing relationship with every client. At Bitcoin Mandates, we strive to educate our clients of the best ways to trade, while offering personalized OTC (over-the-counter) services for both counterparties. 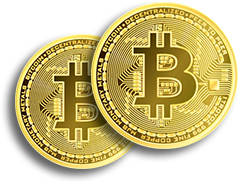 As a cryptocurrency trading firm, we specialize in facilitating buy/sell orders on OTC Bitcoin and Altcoin transactions. Other services include offering Bitfury’s newly built and fully managed mining farms, through a partner, as an alternative for a long-term investment. The team is ran by professionals with expertise in the blockchain space, and also a background in finance, mining, and marketing which ensures a discounted, safe, and efficient process.